Today's geoscience education reaches beyond the traditional teaching tools such as rock samples and topographic maps. 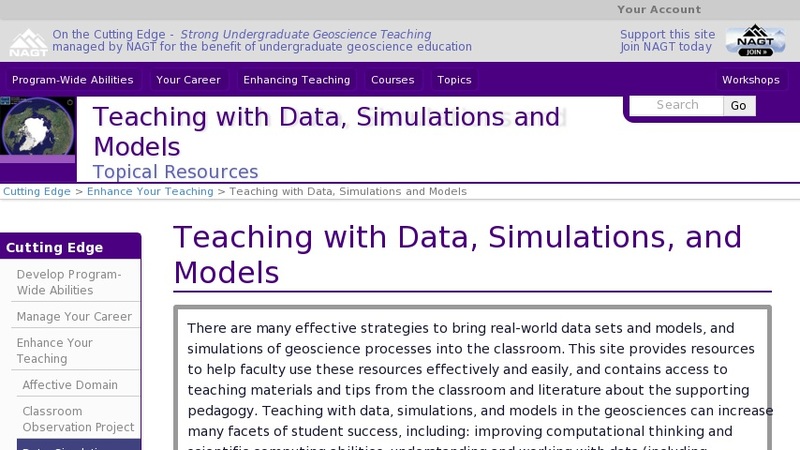 With the addition of computers in many geoscience classrooms and laboratories, faculty have unprecedented opportunity to create innovative learning experiences by bringing real-world data sets and models and simulations of geoscience processes into the classroom. This site provides resources to help faculty use these resources effectively and easily, by providing access to teaching materials, tips from the classroom and literature about the supporting pedagogy.